Initial forklift training is important for OSHA compliance. But so is renewal training. If you’re not sure how long forklift certification lasts, or if you need help with renewal training, ForkliftCertification.com has the training – and renewal training – necessary to achieve OSHA compliance! ForkliftCertification.com offers initial forklift training for employees, along with renewal training. So from day one, we’re the only OSHA compliant training source you need. We help all of your employees receive the forklift certification necessary to safety & efficiently operate your entire fleet! Why should you choose ForkliftCertification.com to train – and retrain – your forklift operators? Ultimate convenience. With 24/7 access and anytime scheduling, ForkliftCertification.com is the best place to renew a forklift license online! Is Forklift License Renewal Really Necessary? Yes, renewal training is truly important. OSHA estimates that about 85 people are killed in forklift accidents each year. Almost 35,000 people are seriously injured by forklifts every year, and an additional 62,000 sustain injuries that are considered less serious. The primary cause of the majority of these accidents is operator error, which means that unsafe work practices or a lack of safety training contributed the most to workplace injuries, damages, and fatalities. When Do I Need to Renew My Forklift License? Forklift certification renewal can save lives and prevent injuries at your workplace. It can also save business owners thousands of dollars in fines. OSHA enforces harsh penalties on employers for having uncertified forklift operators, or operators with an expired forklift license. Additionally, employers are required to pay certain financial responsibilities when a forklift accident occurs. An average workplace injury costs an employer about $43,000, not counting fines or wages to the employee. When you choose ForkliftCertification.com, you are choosing to bypass having to go to an expensive third party facility for renewal training for your expired forklift license. Employees have instant access to our online renewals that they can complete at any time is most convenient for them. As you can see, forklift license renewal is quite necessary, and will pay for itself with the money you will save from future accidents and fines! Don’t get caught with an expired forklift license. How Long Does Forklift Certification Last? One of the most common questions we receive at ForkliftCertification.com is: How long is a forklift license good for? Current OSHA guidelines set forklift license expiry after 36 months. Three years after you receive your forklift certification, you are required to renew your expired forklift license. If your employees need to renew their forklift license online, we’ll take care of everything for you! • You have changed jobs. A new job does not always require a forklift truck license renewal, since a previous employer may be willing to pass along your recent certification information to a new employer. Each of these scenarios can impact a worker’s safety, if they are not properly trained for a new type of forklift, or if they are clearly operating the forklift incorrectly. If you’re not sure how to renew your employee’s forklift license, you’ve come to the right place! ForkliftCertification.com offers simple, streamlined renewals after forklift license expiry. 1) Complete the online portion on the ForkliftCertification.com website. 2) Complete the hands-on evaluation to renew your license. With ForkliftCertification.com, renewing your forklift license expired is as easy as logging into your account on our website and accessing your instant forklift recertification training through any device with an internet connection. As soon as the three-year mark is up for your forklift license, log into your ForkliftCertification.com account and get up to date. Once you’ve finished the online process, you will also receive the latest paperwork to complete your hands-on evaluation renewal. Just like initial forklift training, the evaluation is in-person and requires the presence of a trained operator to lead it. Operators need to complete their forklift license renewal training through a qualified forklift trainer who is familiar with the proper procedures and safety standards set by the OSHA. The trainer is responsible for determining your ability to safely operate a forklift, and he or she will ultimately determine if you pass or fail your recertification training. The best way to get recertified is to be trained and tested by a qualified person within your company. That’s where ForkliftCertification.com comes in. You can purchase the Train the Trainer course by itself or inside our Bundle & Save Package. With our online programs, you’ll have the tools you need to get current and future employees certified using your own in-house trainers, and you’ll save thousands of dollars by not having to pay for forklift training over and over again, in addition to forklift license renewal. When you need to renew forklift certification, make it easy and affordable with ForkliftCertification.com. And that’s how to renew your forklift license – in just two easy steps, your forklift license expiry isn’t for another three years, which means your license is valid for a while! Just like our regular forklift training, your employees can get their OSHA compliant renewal training in around 1 hour! 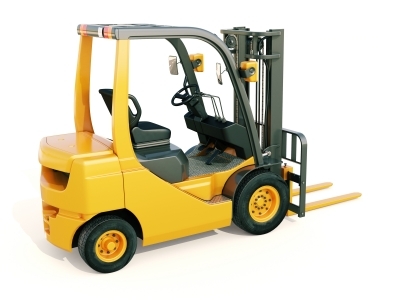 How Can I Help My Employees Renew their Forklift Licenses? If you are a business owner whose employees operate forklifts, you are responsible for ensuring that they are certified by OSHA standards. A forklift license expired is no joke and it can potentially cost your business thousands of dollars in fines. You can assist your employees in obtaining forklift license renewals by offering them training courses at your place of business when they have an expired forklift license and need to renew forklift certification. If your employees are asking, how long does forklift certification last, we have the answer – quick, easy and free renewal training with ForkliftCertification.com! Before they can renew their forklift licenses, they need to get certified. If you have any employees who need to get their initial forklift training, you’ll need the Training Kit. This covers everything employees need to know to operate forklifts safely. Trainees will learn how to operate each type of forklift, how to perform inspections, how to assess the environment, and how to recognize and avoid hazards to prevent accidents. Once you’ve got training covered, you can make it even more efficient with our Train the Trainer course. Our “Train the Trainer” course is self-paced and allows any employee to become a qualified forklift trainer. We proudly offer the only online trainer certification available, and we offer both English and Spanish courses that come with free templates for life! You will learn the information that is most helpful for students and that keeps your workplace compliant with OSHA standards. You will also learn effective teaching skills to help you relay the information and provide feedback to prepare your fellow workers in the best possible way. Don’t let a forklift license expiry compromise your safety. If you’re wondering how to renew a forklift license, we make it fast and easy at ForkliftCertification.com. If you didn’t receive your initial forklift training with us, you will need to create an account. If you did, simply log in and complete your online forklift license renewal. Once you’ve passed that, you’ll complete the hands-on evaluation with your Trainer. If you are looking into becoming a trainer for your workplace, you will also need to either log in or create an account on our website. If you need to renew an expired forklift license and you would like to become a trainer, you can bundle and save with our training package deal. It does not save money, or offer any benefits, to skip forklift license renewal for your workplace. Protect your employees and your business by investing in a training course from ForkLiftCertifitication.com today. We can help you every step of the way when you need to renew forklift certification. If you’re not sure how to renew a forklift license, we’ll help get your employees compliant. It’s that simple. The FLC training team is ready to help you today. If you have any questions about how to renew your forklift license, have questions about how long does a forklift certification last, or if you need to renew any employee’s forklift license expiry, give us a call at (888) 278-8896. If you need to renew a forklift license online, contact us today! Renewal training with us is simple, streamlined, and totally free – just another advantage of getting your employees OSHA compliant with ForkliftCertification.com!